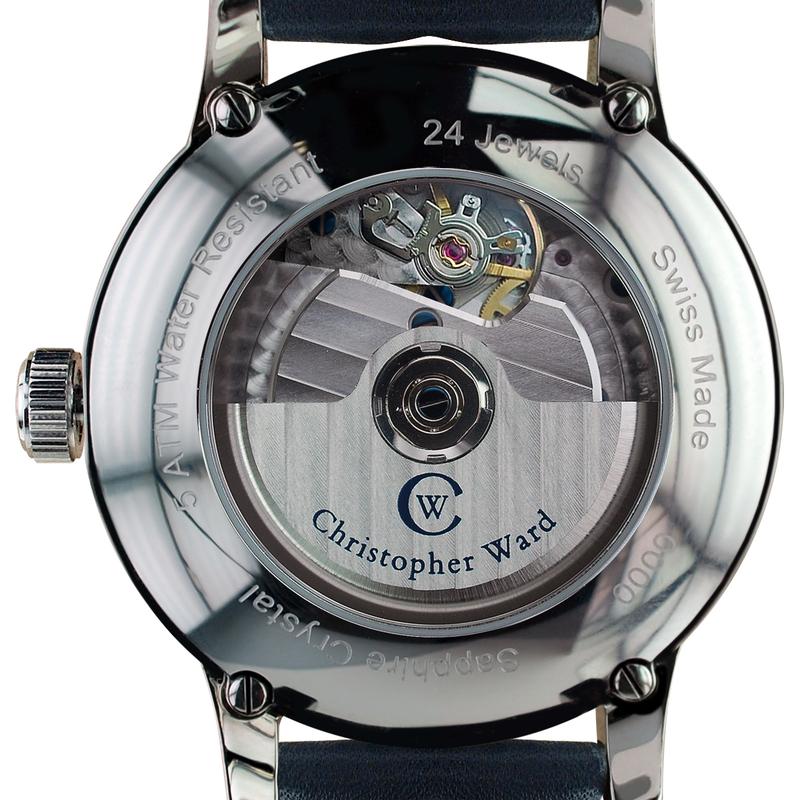 I've been looking at a newish Christopher Ward watch. As per previous posts on watches I should declare myself an affiliate of the company as you see from the banner above; click and buy anything and I get a cut. I was an owner and a bit of a fan before I set this affiliation up, the opinions expressed are genuine but for people who prefer full declaration there it is. I was interested to see that the Christopher Ward Forum, the informal owners' club that has its base on the website, had declared last Autumn's release of the Beckett's C90 watch as the "most significant" the company had made. Of course I asked if I could have a play with one for a few days. I wanted to see what a "significant" watch actually was - and why it carries the price tag of £750. So, the usual packaging and paraphernalia that comes with a prestige watch aside (I could do without it but the collectors seem to think it's very important), you put the watch on. It looks good, slightly retro/classic and works well. The clever bit about this one is that it's an automatic - self-winding through the movement of your wrists as you move around, no battery - with a power reservoir you top up by winding. This coils the spring so that unlike other automatics which drop dead when they're still for a while, it keeps going for 48 hours so if you don't want to wear it every day you don't have to keep resetting it. I'm very fond of the styling. It's got that "Mad Men" thing going on, looks a bit like an old clock, luminous dials (basic but not something my other Christopher Ward automatic, the C5SSS has) so I can tell the time in the dark. And it has the obligatory and rather engaging viewing window of the movement on the back, as you can see. I love these bits; I have no doubt other people will find them superfluous. Of course as a review model I'll be sending it back and this time around I won't be offering money instead of the watch back as I did once before. The reason is simple; whereas it may indeed be my birthday next month, and OK, work has been doing well (although I write this blog for fun and take no money from it yet), I can't justify £750 on a new watch when I have one that works perfectly well already. 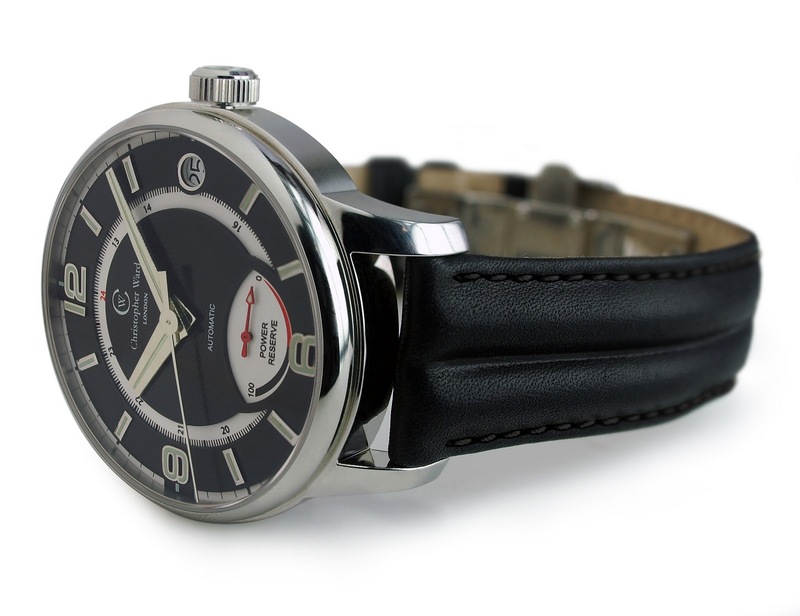 I find the prestige watch market a bit of a puzzle to be honest; sure, I'd like to have the choice, but as long as you can tell the time and it doesn't look hideous I don't quite "get" the "less than a ten thousand quid Omega is no good" ethos. 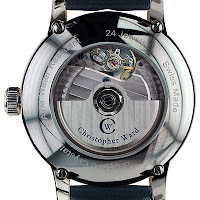 I asked Christopher Ward of London sales director Mike France about the price and he pointed out that it was only expensive compared to other Christopher Ward watches; others on the same market with the Eta Valgranges A07.161 movement retail in the thousands. This movement, which has the power reserve, costs around 3.5 times the price of the Eta 2824-2 which goes into my trusty C5 and my watch is around a third of the price as a result. "Additionally on the C90, the multi-layered, two piece dial is very expensive but we believe gives the watch an added dimension," he explains. So there it is - the components push the price up. If I were in the market for a new watch and had that sort of disposable income (and any trip to an upmarket jeweller will tell you it's not an extraordinary amount, just a larger sum than I'm personally used to spending on impulse buys) it would come pretty much close to top of my shortlist.